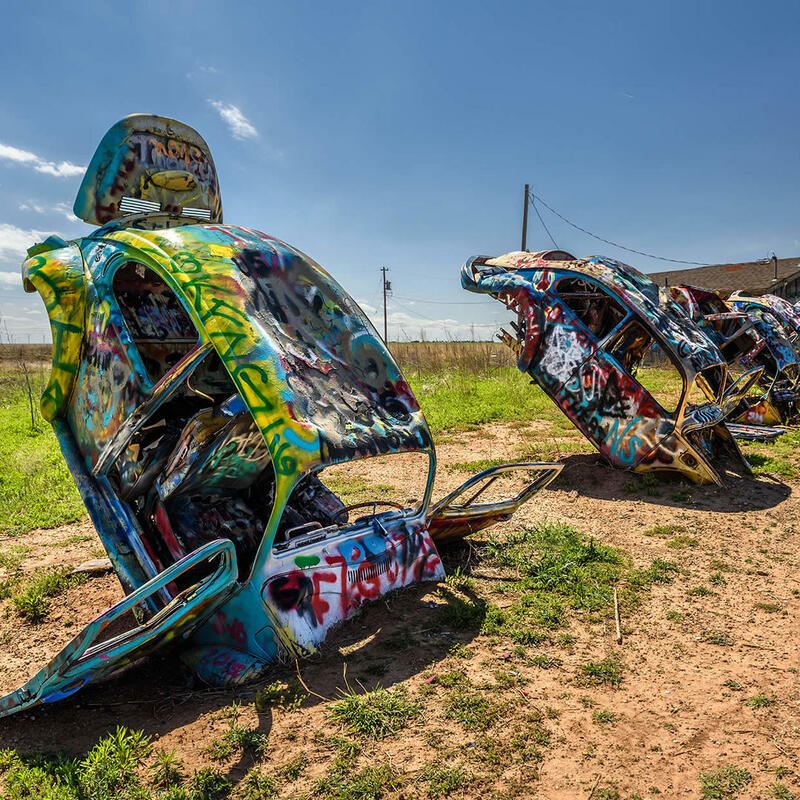 The Cadillac Ranch in Amarillo has spawned many a descendant, such as the VW Slug Bug Ranch. On a dusty plain with patches of wild grass, five VW Beetles are planted hood down into the dirt. Painted in garish color, these round shells of metal should be on the list of stops during your Route 66 road trip.